I am really pleased to write this report, telling you of the wonderful developments this year that have put us in the position to greatly enlarge the work of PTTW in Honduras. Although the work has grown our vision remains the same. Vision: To transform Honduras from one of the poorest nations in Central America into a healthy, prosperous nation. Results: we spoke to over 1100 professors, teachers & children at the national universities, the University of Defense, a high school and primary and secondary schools. Presented our new book, Principles that Make you Strong, by Charlene Potts to school teachers in two schools. Professors are teaching values to their students using our book, Values and Principles that Can Change the World, in the institutions shown below. These institutions involve their students in social projects to establish the right values in their lives. 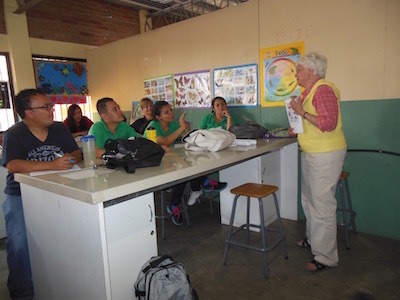 In Comayagua, professors and students of education travel to grade schools to teach the children what they have learned at the university. The program at the universities continues to grow. With the open door we seem to have in the grade schools, we plan to expand this teaching to many more schools. The impact of the book, Meant for Greatness, is unknown but will be tested next year. Our three books are geared to promote change in Honduras in three different areas, one for universities and high schools, one for grade school teachers and one for churches. It will take time but this multi level approach is gathering momentum in realizing our vision. Increase our support for Arnulfo from $1100 a month to $1200 a month. 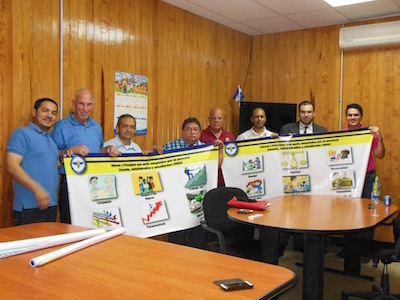 Distribute the book, Principles That Make You Strong, in Spanish, to all of the 4th/5th grade teachers in the public schools of Comayagua, free of charge. (The teachers are poorly paid and will not buy the books, but they need the teaching.) We will need 250 books to begin. 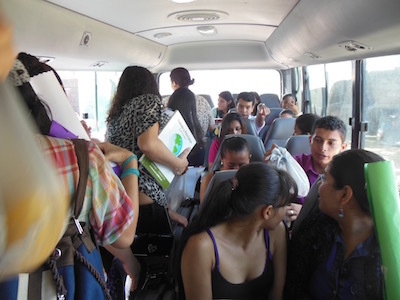 Distribute Charlene’s book in English to all the bilingual schools in Comayagua. Use any profit to print additional books as needed. Start a similar social project in Tegucigalpa like that in Comayagua. Cost ~$1000 to start. Support two students to help Arnulfo in Tegucigalpa and Letty in Comayagua for $150 apiece for ten months. Total $3000 for the year. Print the new book, Meant for Greatness, in Spanish for use in churches. Start with 250 books. Distribute them on a donation basis, so as to have funds when more books are needed. Next trip to Honduras: March 5-12. If you are interested in sharing your professional experience with professors, students or teachers in Honduras, please come and join us. We always need professionals like you to challenge and motivate our Honduran friends. If interested, please contact me at john.potts@pttworld.org. This will greatly expand our impact in Honduras. Letty hopes to hand out between 3000 and 5000 books in 2016. We can meet this goal if we have the resources. To do these things we will need $8,000 to print the books for this year. This includes adding the additional support of Arnulfo and the part time support of two students. Thanks to all of you who has contributed faithfully for Arnulfo’s support. Without you we could never have come so far, nor can we continue without you. Arnulfo and his family depend on your help. Any investment you make will have enormous returns. In preparation for Christmas, many people buy gifts through amazon.com. If you do so, consider signing up with smile.amazon.com which has everything at the same prices as amazon.com but Professionals to the World will get 0.5% of the sale price at no cost to you. Just go to smile.amazon.com and then select Professionals to the World as your charity. Thank you for your consideration. It’s going to be a great year.